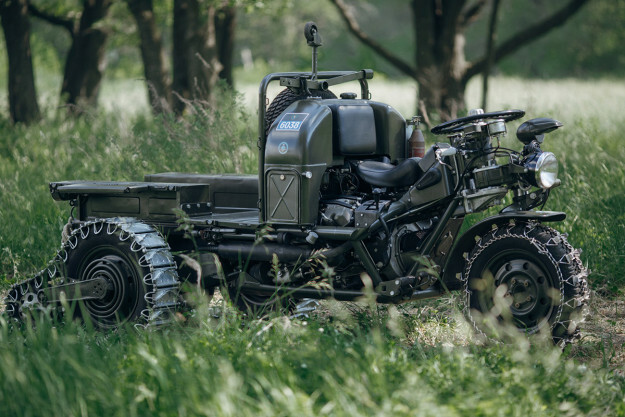 The most badass 3 wheel motorcycle is not a Can-Am Spyder or Polaris Slingshot. It’s this incredible go-anywhere Moto Guzzi built in the early 1960s. 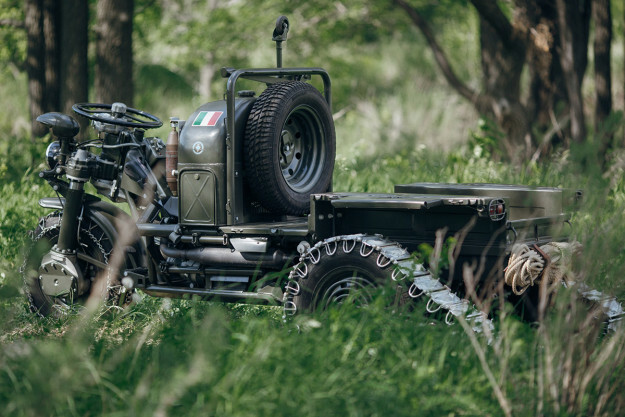 Designed for the Italian army, it’s sporting full-time 3WD, a six-speed transmission and a reverse gear. 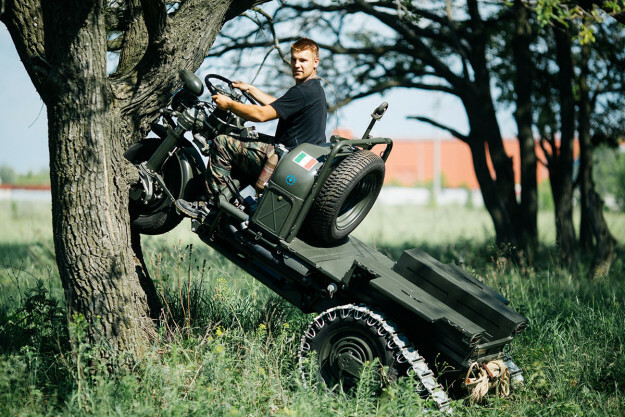 It’s called the Autoveicolo Da Montagna (‘mountain car’) and it’s one of the most sophisticated military vehicles ever made. 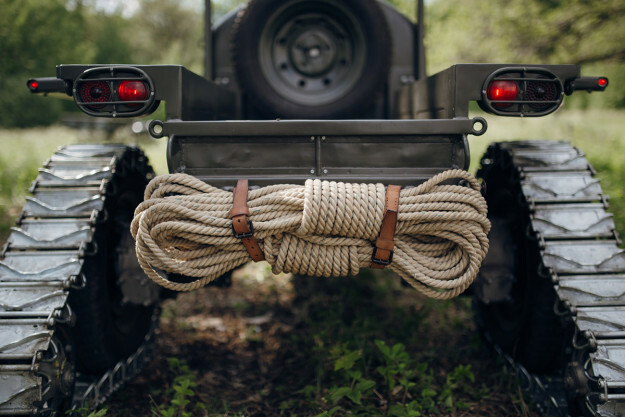 The design brief was simple: build a vehicle that could replace the mules used by Alpini troops for traversing steep mountain roads. This example lives in a Russian museum called ‘The Motorworld by V. Sheyanov.’ Based near Samara in the southeastern part of European Russia, the museum is rammed with immaculately restored military motorcycles. But we’d take the Guzzi over anything else. The restoration was carried out in Italy, though. It’s the work of maestro Costantino Frontalini, who runs his own museum for sidecars. 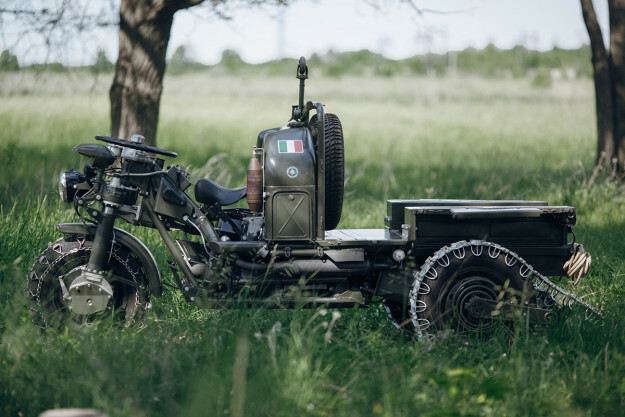 A little history: this Guzzi wasn’t the first 3 wheel motorcycle used by the Italian army. 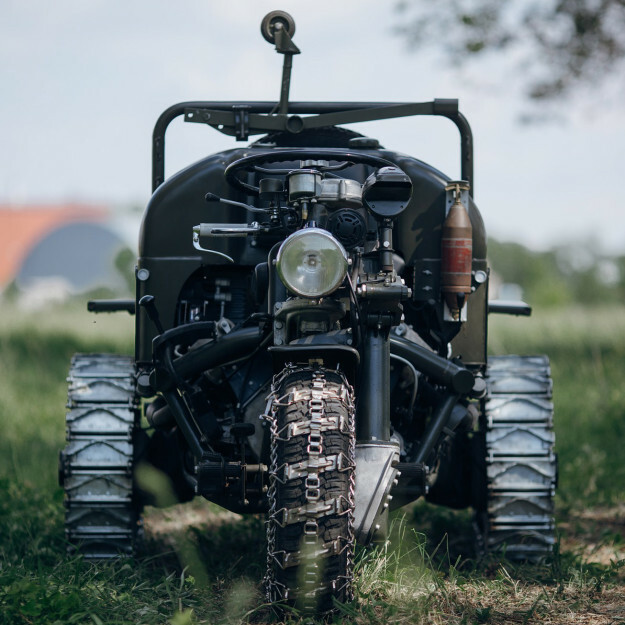 They used trikes during the Interwar years, usually hybrids—the front part of a production motorcycle, and a custom rear part, with a cargo body on two wheels. But this ‘mechanical mule’ was the first truly ground-up design. Technically, it’s a tour de force. The front wheel is chain-driven and there’s a switchable differential between the front and rear drives. 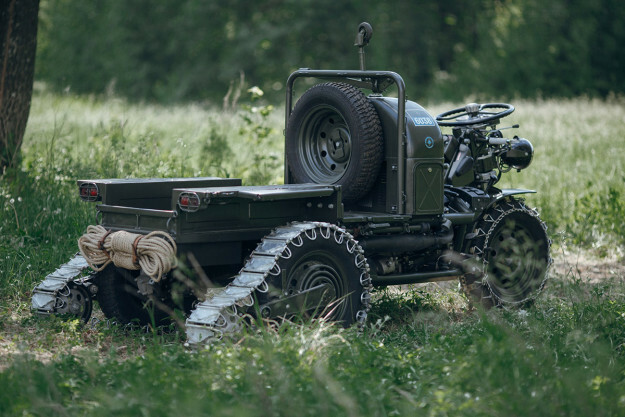 The rear caterpillars could be adjusted according to terrain, and cargo capacity was a hefty 500 kilos (1,100 pounds). The client was General Ferruccio Garbari, who became fed up of the traditional mules used by his mountain troops. 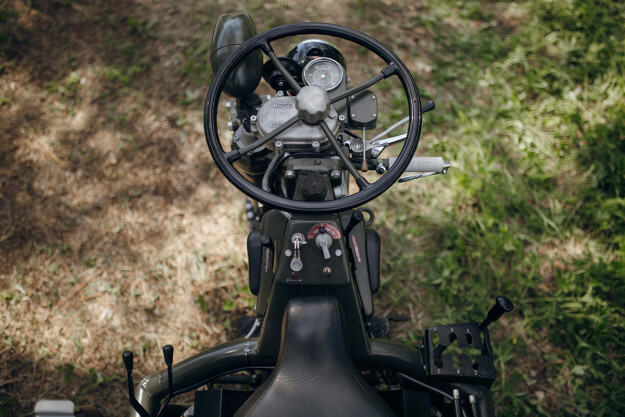 Moto Guzzi gave the project to one of its most talented engineers, Giulio Carcano, and in March 1960 a prototype of the 3 wheel motorcycle was ready. After a year of tests and modifications, the contract was signed. The 500cc single-cylinder engine originally earmarked (and used in the 3×2 Motocarro Militare) was ditched, replaced by a new V-Twin 750cc engine dubbed the ‘Carcano V7’ in honor of its creator. The trike was capable of tackling 31-degree inclines. But that capability became its biggest weakness as well as its strength. Several riders were killed in rollovers, and the Italian army cancelled production in 1963. 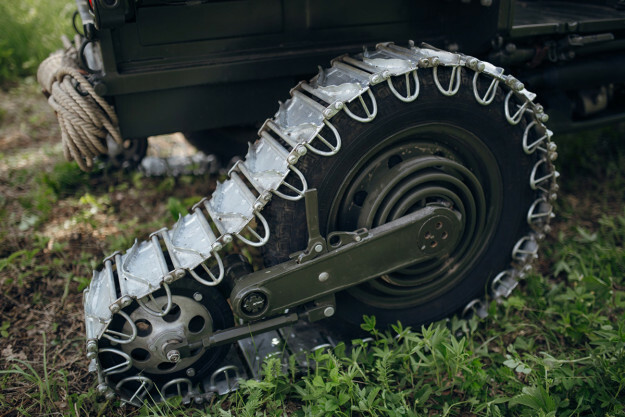 Those include a Beretta 38/49 light submachine gun, the ubiquitous Italian weapon of World War II, and caterpillar tracks to fit over the rear wheels. On the right side is the emblem of the Torino Alpini, one of the last remaining active mountain infantries in the world. 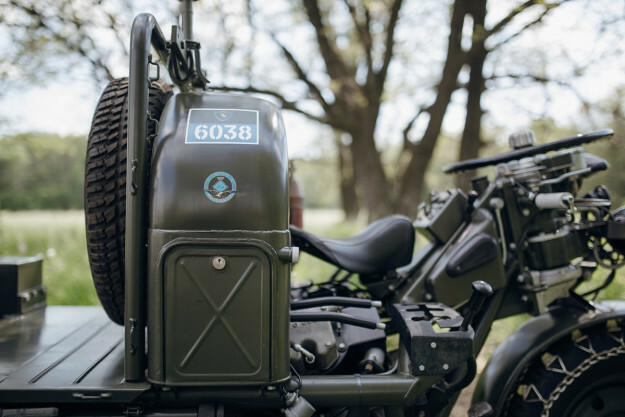 If you want a go-anywhere machine but modern-day adventure bikes don’t tickle your fancy, maybe a military 3 wheel motorcycle is the way to go. Just don’t expect to find one on your local Craigslist.